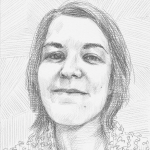 Tyler Calkin is an interdisciplinary artist living in Los Angeles. We discuss his interest in virtual reality, the use of simple materials, and the making of his Dental Focus Device multiple. 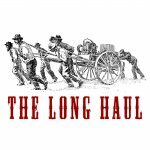 The Long Haul is a podcast by Ariane Roesch about commitment and endurance. Tyler’s Dental Focus Device can be purchase online through The UNIT Store here. Personal Panopticon Dérive Device from Tyler Calkin on Vimeo. Legotrek from Tyler Calkin on Vimeo. Double-Standard from Tyler Calkin on Vimeo. egress from Tyler Calkin on Vimeo. Red Carpet headed to Greece!